JoeGoaUk's Point of View: How many more deaths Mr. Chief Electrical Engineer? How many more deaths Mr. Chief Electrical Engineer? Family by a meagre amount of Rs. 2 lakhs per death. But this death by electrocution is very serious matter.. Gross negligence on the part of Power Dept Staff noted. by logging on the complaint book. to give in this incident as to why the power was not switched off for 2days? What more? They were quick enough to join the snapped wire (not even replace by new one). Worst part of it is 'No guard loops' provided throughout the section even after 11 days from the incident. As if the Dept playing with the lives of the people (pl see various pics and Video here). What the parents must be going through? against Power Dept. They can’t get away all the time. Dharbandora is about 55 Kms from Panjim. As we were first timers, we took the wrong route i.e. Usgao Heavy mining trucks route which delayed our visit by half a hour. PONDA: Following the recommendation by the state electrical inspectorate at Panaji, Colem police have booked four electricity officials for the death of Sanjay Prabhakar Gaonkar, 17, from Dhavkond in Dharbandora three years after the incident. 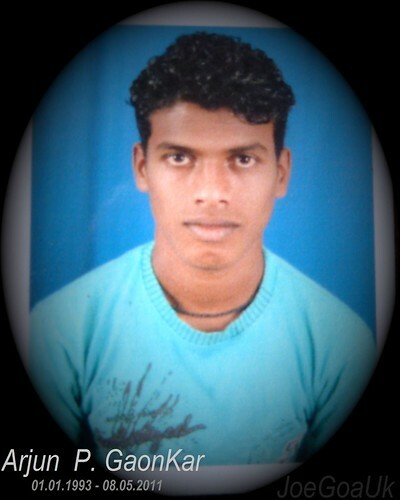 Gaonkar, a trainee at ITI, Cacora was electrocuted in a stream on May 8, 2011. TVK Govindam, executive engineer; Remedio Fernandes, assistant engineer; Jagpalsingh Chaudhary, junior engineer; and Ankush Raghu Shilkar, lineman/wireman have been booked under Section 304-A of Indian Penal Code. Parrikar Govt recently enhanced compensation amount to kin of those electricity employee who die on duty. However, the compensation level of those civilians deaths due to negligence of Power Dept remains the same i.e. 2 lacs? Wearing of Helmet compulsory on all Roads in Goa?